Candles: Candles are something I know a lot of people love all year round however to me I consider them more to be an Autumn/Winter thing. I just think everything is a lot more cosy, warm and welcoming. I also love all the scents that come out. Some of my favorites include pumpkin, cinnamon and apple scent things. I'm planning a trip to New York in a couple of months time and I am definitely going to be stocking up on candles from Bath and Body Works as they just have the best selection ever. Is it just me who finds it totally ridiculous that we don't have a bath and body works in the UK?! They seriously have to up their game! Frosty Mornings: Again I know that this is more of a winter thing than an autumn thing but I just love frosty mornings. I just don't think there's anything better than waking up on a chilly morning, putting your dressing gown on, going downstairs and making a cup of hot something whilst looking out the window and seeing the garden covered in a thin layer of frost. I just think it looks so incredibly beautiful. The Leaves Changing Colour: I don't know about you but I just love how the leaves and the trees all change colour in the autumn. I love how you can get trees with brown leaves, some with orange and golden leaves and others with pinky red leaves as well. I also love those trees that leaves literally look like they are on fire. It always just looks so incredibly beautiful. Rollneck Jumpers/Boots/Scarves. One of my most favorite things about the autumn and winter months has to be the fashion! I absolutely love roll neck jumpers as they are so easy to throw on and they always go with absolutely everything. I love the variety of different scarves and boots available in the shops as well! I've already been scouring the shops for autumn/winter wear and I haven't been disappointed so far! New Look in particular seems to be amazing. Burgundy and Plum: Two of my favourite colors to wear in the autumn/winter months are burgundy and plum. I absolutely love them. Plum lipsticks in particular are amazing and I love everything burgundy when it comes to clothing. It's just such the perfect color for this time of the year. X Factor Returning: The addictive show that we all love to hate or consider a guilty pleasure (like me) returns! It's literally become a Christmas countdown for me! Who else is excited to see the Coca Cola advert appear through ad breaks the closer it gets to Christmas? I know I am! Halloween: There's nothing better than grabbing your boyfriend/best friends, baking a few autumnal treats and watching a ton of horror films and scaring yourself silly! Truth be told as much as I don't like scary films I love being scared and the fear factor! It just makes things 10x more exciting I find! Baths: I'm definitely a shower girl in summer and a bath girl in winter so the fact that I can start to run a ton of baths and dip into the growing pile of lush products I have in my bathroom excites me so much! I know Lush will be bringing out their Christmas products and exciting autumn launches soon and I just can't wait! Fireworks: Remember, remember the 5th of November! I absolutely love Bonfire Night/Guy Fawkes night whatever it is you want to call it. I love seeing the sky lit up with different colors and patterns. This year I'm going to make it my aim to go to as many firework shoes as humanely possible! Purely so I can have a hot chocolate and eat candy floss whilst watching them. Big kid right here okay?! I promise you I've recently turned 25. Longer Lazy Days/Movie Nights Autumn/Winter means more bad weather and longer nights so what better way then to have your hot bath then grab a selection of your favorite films and have a movie marathon complete with popcorn or even just watch your favorite TV show all evening! I think this is the thing I'm most excited for especially as I'll be working most of the time! Onesies: Onesies are literally a godsend in autumn/winter! I love them! I mean who doesn't want to look like a grown up baby? They always look so cosy and comfortable and content with life so why can't we?! I'll take 10 this year please! So there we have it. Just 15 reasons as to why Autumn is my all time favorite season. I just absolutely love it and I'm so happy it's finally started to get a bit cooler as it has just been a bit too hot for my liking. I hope you enjoyed this post and be sure to let me know below what your favorite things about Autumn are. Even if you don't like Autumn be sure to let me know the reasons below as I'll love reading them. 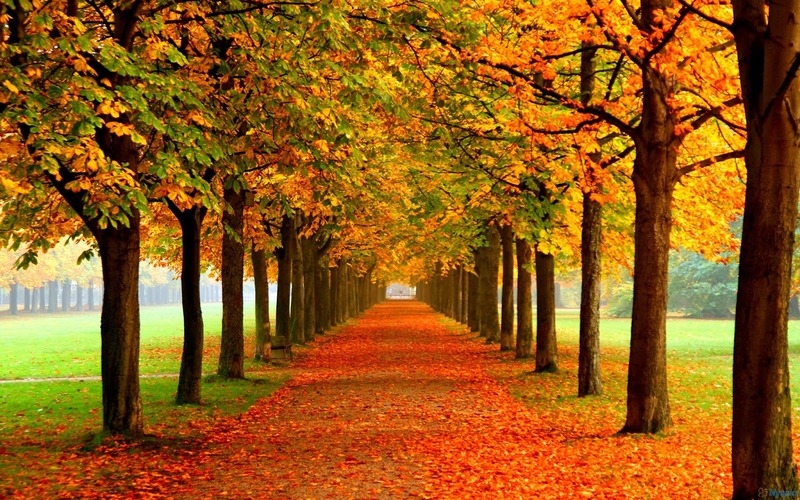 What are your favorite things to do in Autumn?